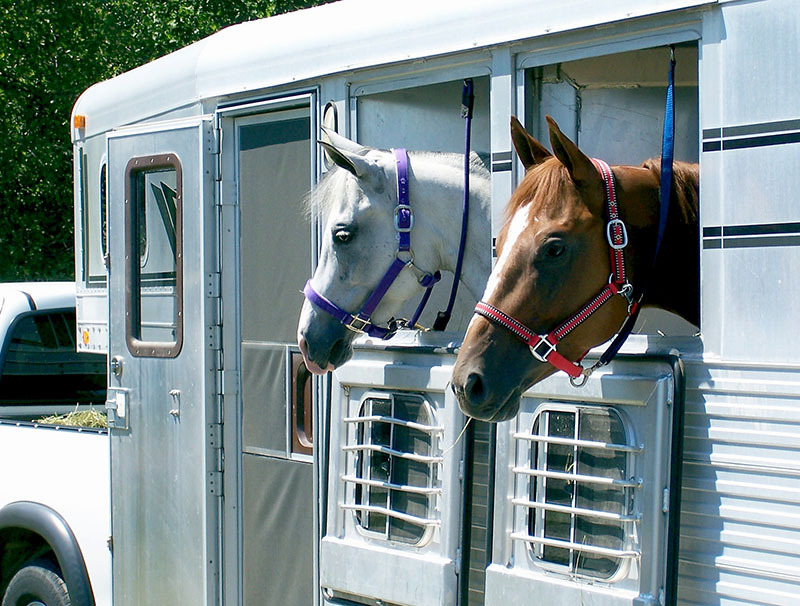 Transporting your animal can be dangerous, whether you are going to a competition across the country or an international one. We have short-term policies that will provide animal life insurance while in transit which includes driving and flying. This type of coverage would protect you against the financial loss for the established value of your insured animal if it were to die while being transported. Coverage is determined by the classifications below. 1. Single Trip Transit Insurance is available as a separate policy. This insurance generally goes into effect when the animal is being loaded and coverage terminates when the animal is unloaded at it final destination. Depending upon the age of the animal and other criteria, this type of insurance may be purchased for Full Mortality (Illness, Disease and Accidental death) during the transit period. But Basic Perils may also be chosen which insures for loss caused by specific accidental causes, which include collision, derailment or overturn of certain conveyances, including loading and unloading. 2. International Air Transportation Insurance is applied by endorsement to an animal already insured under a Full Mortality Policy. This coverage extends insurance to include international air transport of the animal. 3. Territorial Limits Including Transit Insurance OR European Extension is applied by endorsement to an animal insured under a Full Mortality Policy. This coverage extends insurance to include the animal’s stay in specified territories outside the Continental U.S. and Canada. You can begin by reaching out to our dedicated and knowledgeable team for horse insurance. After speaking with you about your insurance needs, we can recommend policies that can be tailored to your exact needs. From horse business liability insurance to animal transit insurance, we can help protect you and your beloved animals. We make it convenient to reach out to us because you can call 1-800-328-8894 7250 or send an email to discuss your insurance needs with us.